Handle all of your installation, repair, and replacement needs with our full-service roofing contractor. 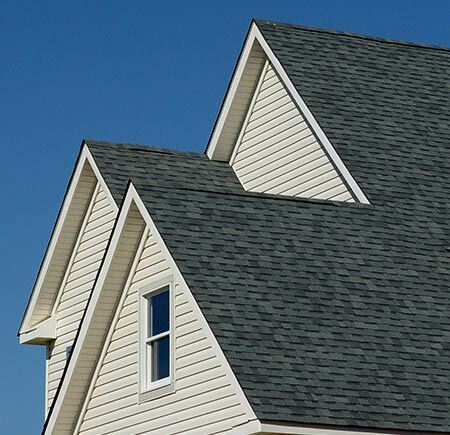 Your roof is arguably your home's most crucial component. A well-built roofing system protects your structure, family, and belongings inside from wind, water, heat, and cold. The condition of our roofs often goes overlooked until problems arise, but the comforts they provide can't be understated. Keep your covering in great condition and make sure it continues to perform with our roofing company in Lake in the Hills, IL. 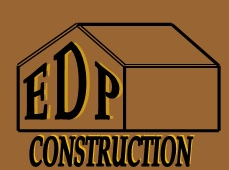 EDP Construction has built a reputation for delivering comprehensive roofing services that stand the test of time. As a family owned and operated business, we understand the value of getting the most out of every home renovation. With over 30 years of experience, you are sure to receive high-quality craftsmanship and exceptional service from our professionals. Whether we're replacing an ineffective system or installing a cover for new construction, we've got every element of your roofing project covered from start to finish. When it comes to the state of your roof, it's important to work with a seasoned contractor. Turning to underqualified roofing companies may cause you to inadvertently put the condition and the value of your property in jeopardy. As a locally owned business, we're committed to providing homeowners all throughout the area with top-quality service that meets all of your performance needs. With an A+ BBB rating, you can have complete confidence in our work. Our roofers know the importance of taking an individual approach with each project we take on. Don't risk the safety of your household by delaying necessary roofing work. Failing to invest in timely roofing services decreases your property value and can lead to a number of other costly consequences. Avoid the need for repairs and damage remediation by handling your issues before they become cumbersome with a comprehensive inspection from our experts. We provide swift and skillful workmanship that prevents these structural problems from happening in the future. During your inspection, our experts provide you with an estimate that accurately reflects the costs of the services you require. We go above and beyond to provide you with services that meet your every expectation. Not only do we work to stay within your budget, we also practice advanced techniques to ensure your system's performance. Take advantage of a free roof inspection from our team to determine the extent of your needs. Contact us to schedule a free roof inspection. We proudly serve homeowners in Lake in the Hills, Deerfield, Schaumburg, Hoffman Estates, Elk Grove Village, Deerfield, Crystal Lake, Orland Park, Buffalo Grove, and Highland Park, Illinois, as well as Indiana and Wisconsin. Schaumburg, Hoffman Estates, Elk Grove Village, Deerfield, Crystal Lake, Orland Park, Buffalo Grove, Lake in the Hills, Highland Park, and Lemont, Illinois, Indiana and Wisconsin.